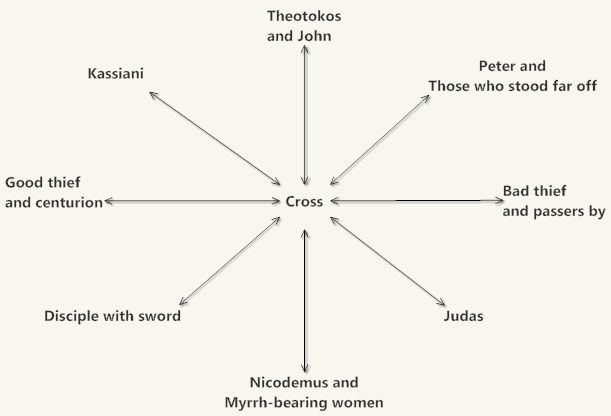 The Cross is sword for dividing the universe in terms of personal relationships to God. The various personages are examples of the ranage of reactions that, when taken in sum, represent the domain of those relationships. Domain models are heuristic devices for the efficient analysis of development projects. The utility of this model is found when considering spiritual styles and approaches to repentance.